The facelifted Ford Mustang has appeared in India twice so far, first in January this year and then just last month. However, IAB has learned that these sightings were of private imports. The facelifted Ford Mustang is nearly two years old now. The sixth generation Ford Mustang went on sale in the company’s home market in 2014 and reached India in 2016. The facelifted model debuted in January last year, but it is yet to go on sale here. A source familiar with the Blue Oval's plans for our market has told IAB that the Indian subsidiary hasn’t started importing the facelifted model. The new Ford Mustang features some design refreshes, more sophisticated technologies and enhanced powertrains. Key exterior changes include reshaped headlamps now with LED lighting, redesigned hood vents and bumpers, reshaped tri-bar tail lamps, quad exhaust tips, and new license plate indentation. Inside, Ford has introduced a 12-inch LCD all-digital instrument cluster. The door linings use soft-touch materials now, while the centre console features a new hand-stitched, soft-touch wrap, finished with stitching in a contrast colour. The new Ford Mustang is available with two engines: 2.3-litre EcoBoost and 5.0-litre Ti-VCT V8. The former, a turbocharged unit, produces 290 PS PS and 440 Nm of torque. The latter, which is the one relevant to our market, is a naturally aspirated unit that dishes out 450 PS and 529 Nm of torque. These are paired with a 6-speed manual transmission or a new 10-speed automatic transmission. In addition to the new automatic transmission, Ford has introduced a new MagneRide active damping system as well as Active Valve Performance Exhaust technology for configurable exhaust note. It has recalibrated the shock absorbers and stiffened up the rear suspension. 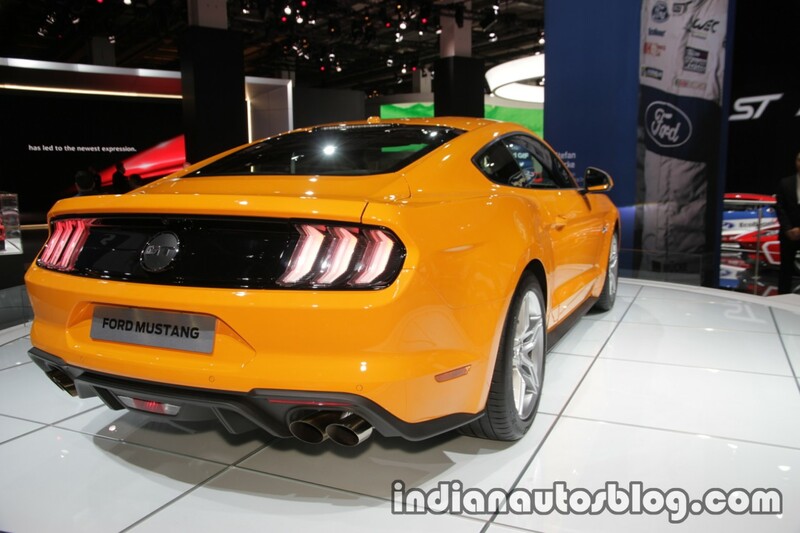 The new Ford Mustang, if launched in India, will likely sport the 450 PS 5.0-litre V8 engine. 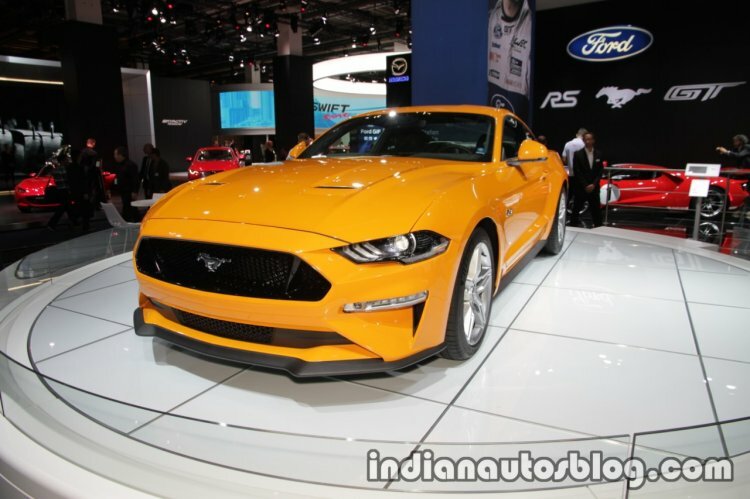 Ford is yet to confirm the new Mustang for India. The old model costs INR 74,62,000 (ex-showroom Delhi) and is available in only as a coupe.